Juggling Business Tasks? 10 Mobile Apps to Organize Your Business On-the-Go. You can never grow stagnant with new ideas to organize your everyday business tasks. Your arsenal grows daily with new ways to stay organized, stay connected, and get things done. 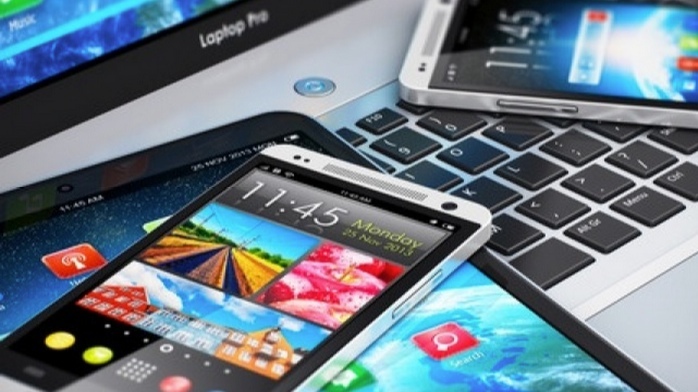 As a business owner, we are always on the run and in today’s world, we need to be connected more efficiently than ever. Mobile apps have given us an opportunity to streamline our business process and work smarter, not harder. We can now manage our time, our money, and even our marketing on the run. Here are ten tools you can use to move your tasks from the to-do column to the done column. QuickBooks has been around for a while as one of the top ways to do your accounting for your business. Keep track of everything from invoices to expense reports using QuickBooks. This app allows you to keep all your information synced across all of your devices automatically allowing for true mobile business. Nothing is more challenging than keeping up and maintaining all of the different social media networks out there. It can consume a large portion of your day. With the Hootsuite app, you can keep track of every single one of your social media networks from one dashboard that allows you to schedule posts, monitor conversations, and quickly streamline your social media workload. GoToMeeting gives us one of the benefits that the Internet was designed for. GoToMeeting allows you to not only attend the meeting in a remote location but also enables you to share screens so that you can attend presentations and training sessions. The mobile app allows you to do all of that without a computer. People thought Google was crazy when they decided to take a car and drive on every street in America, taking pictures along the way. They created quite a product and offered it for free, allowing people to get to where they’re going faster and easier than ever before. Designed by the Microsoft Corporation, the Sunrise Calendar app is the one and only calendar you’ll need to manage your entire work day. It syncs seamlessly across just about every major platform and calendar in use today, making this one of the most versatile time management tools you can put on your phone or tablet. Nothing is more frustrating than realizing you have six different contact lists over six different platforms, many of which are duplicates, and the rest of which are unique to one list and you don’t know which contact is on which list. Smartr is a contact app that allows you to not only search for duplicates but will keep all you all of your contacts synced in one place. Managing your contacts has never been easy, but you can make it even easier on yourself by using Smartr to stay top of everyone in all your contact lists. Instagram is more than just a social media platform. It is a visual beast that allows you to take pictures and videos and post them to any major social media network. The Instagram app lets you do it with your phone or tablet so that you are not tied to a desk or computer. Even if you don’t post your pictures to other social media network platforms, Instagram allows you to post your photos, follow other people, and most importantly – allow other people to follow you. Password generation has never been a strong suit for many people. The passwords for many people are full of security holes such as using the same password for every application or creating an easy to guess password like your son or daughter’s birthday. This password protector app will not only create unyielding and difficult-to-guess passwords but will keep it safe and secure for you so that you don’t have to remember them. Security has never been so convenient, and the mobile app will keep your passwords synced across all your devices so that you don’t have to remember your bank password while you’re in the car and realizing you have to go home to get it. Microsoft may be the king of operating systems (at least for the moment), but in the business world they are more. They also create the world’s foremost productivity programs that businesses use every single day to keep their businesses running. Microsoft Word is one of those programs that allow you to create professional looking documents with very little effort. While one may think that it is merely a word processor, it is chock full of advanced features that allow you to turn a simple text document into a feature-rich experience. This traffic app does one thing that computers alone can never do – it gets people to work together. This is the one traffic app you’ll need to be alerted to anything from speed traps, accidents, road hazards, and traffic. It gets its data from real people in real time so that you can avoid longer routes and get to where you’re going faster. Furthermore, you’ll get information on the cheapest gas in town that is on your route – if it weren’t already free, this feature alone would make it worth it! What apps do you use for your business? Share with us below how it has made a difference for you and your business. If you or your team needs assistance in organizing your social media channels, make things easier by contacting Social Connect. Your time is valuable and better spent focusing on your business rather than on education and teaching. You’ll be better prepared to conduct business efficiently, and you’ll be glad you did! 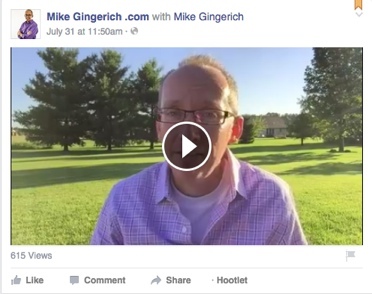 Facebook has recently been proactive in substantially improving their ability to manage videos. Their attempt to compete with YouTube is forcing them to react in kind. Facebook is the number one social media marketing platform in the world; used for a lot more than just posting what’s on your mind or pictures of your kitten. It’s used it to drive people to websites and connect with them in a way that is otherwise impossible. In short, the social media giant has come a long way from merely trying to connect people with each other. Facebook announced a new platform for handling videos. The days of linking your videos to YouTube’s hosting service are over. Facebook has streamlined the process, allowing you to upload the video directly onto your Facebook feed – or not. You also have the option of keeping your uploaded videos private if you wish. It’s no secret that people want to do things the easy way and follow the path of least resistance. By completely reworking the way Facebook does video, they are forcing people to rethink the way they use Facebook. There’s good reason for this. YouTube has bragging rights with more than 1 billion users every single month, and Facebook has realized that there’s no reason that they can’t take advantage of that. Facebook has made it easier for you to upload and distribute videos with control and precision. Page owners will have a new video library to edit, manage, search, and view all of their videos from one place. Options like ‘Secret Videos’ allow you to keep videos private, and ‘Expiration Dates’ allow business owners like you to create a sense of urgency to view videos and other promotional products. Facebook is showing no sign of letting up the pressure they’re placing on dominant video sites such as YouTube. Some of the improved features include thumbnails, categorization and complete control over when and how videos are published, if at all. Businesses will need to start rethinking their video content for their marketing strategy. These new tools provide inspiration for not just what your videos contain, but how you will shoot videos to begin with. By setting an expiration date on a video, for example, you have the option of creating time-sensitive offers and delivering it via video. It won’t take long before Facebook generates just as many video hits as YouTube. Are you ready for it? The way you shoot videos will be affected just as much as the way you publish them. To compete with the wave of businesses that will soon be taking advantage of Facebook video marketing, get help from the best in the industry! Contact Batya Maman of Social Connect LCC for assistance in making your Facebook business page the best it can possibly be! “Almost 4 years ago I was looking at the future of medicine and had the epiphany that the key to real growth and getting my message of living a healthy lifestyle and maximizing my message of developing and maintaining a healthy spine was through the internet and Social Media. 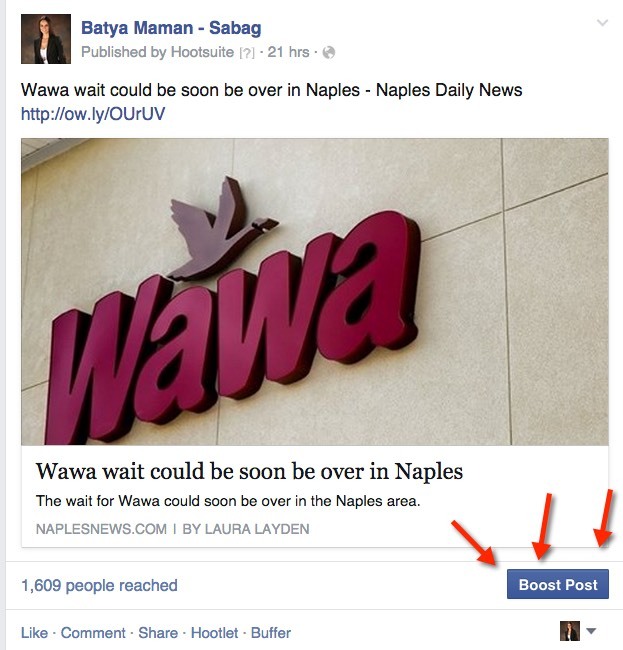 I was extremely fortunate to Google social media consultants in Florida and came upon Batya Maman during the course of my research. What set her apart from the social media crowd was the evident fierce determination that she exuded in her website. It was clear that to this person, failure is not an option. Her story is truly the epitome of the American Dream of success through hard work and determination. Here is a woman who came to this country with a nominal command of the English language from Isreal, who started a cleaning business, then, as her command of the English language grew, began utilizing her training in computer science and her circumstance of not owning her own vehicle to establish a home business. She quickly began utilizing her computer skill-set combined with her incredibly charismatic nature and determination to create what is truly becoming a force in social media, Social Connect LLC. I contacted Batya and she quickly was able to communicate to me in a clear and concise way just how powerful social media is, and how now is the time to strike. She developed my professional page, set up Google +, developed and maintained my Twitter account, and last but not least, has helped established my professional presence on LinkedIn. 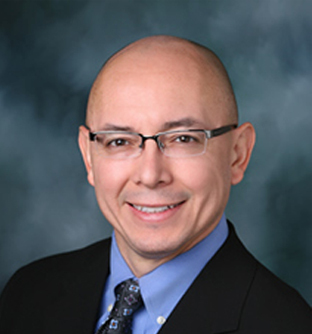 Since that time, I have had numerous patients discover me on Facebook, and also had multiple professional interactions; some of which have become mutually beneficial collaborations over time. I have had a number of patients discover my presence through the many positive messages that Batya contributed to my website and have been able to help these people who otherwise would not have been directed my way. Everyone wants to attract the attention of online consumers with website advertisements. Some sites, especially social media empires like Facebook, have the ability to learn what users search for and then tailor ads based on those interests. If your company has multiple audience segments that you want to reach, I think that you’d be interested in learning about custom Facebook audiences and marketing on this social media platform. 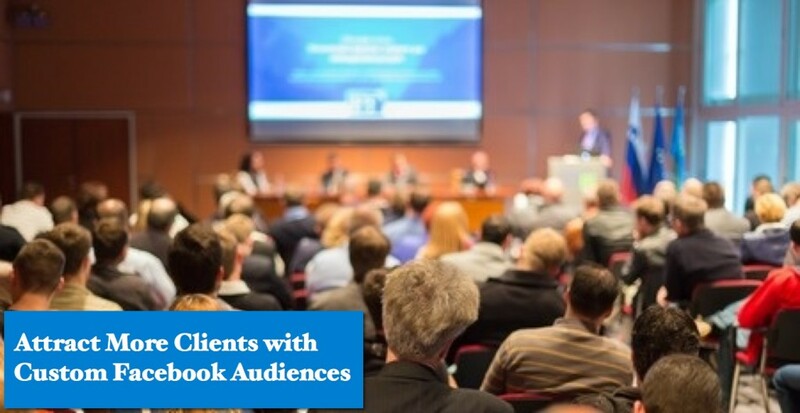 What is a Custom Audience and How Does it Apply to Facebook Ads? As Facebook explains itself on its site: “Custom audiences from your website makes it easy to reach people who visit your website and deliver the right message to them on Facebook.” As people click on your company’s site, Facebook has the ability to keep track of these users and then allow you to create advertisements that they will see the next time they log in to Facebook. This can encourage these potential customers to visit your website’s shop, complete a purchase, or make a second purchase. I don’t think I need to tell you how beneficial this can be for small businesses and new companies. How Do You Create Facebook Ads for Segments of Your Target Audience? To enable the custom audience pixel on your company’s website, start by accessing your audiences list. 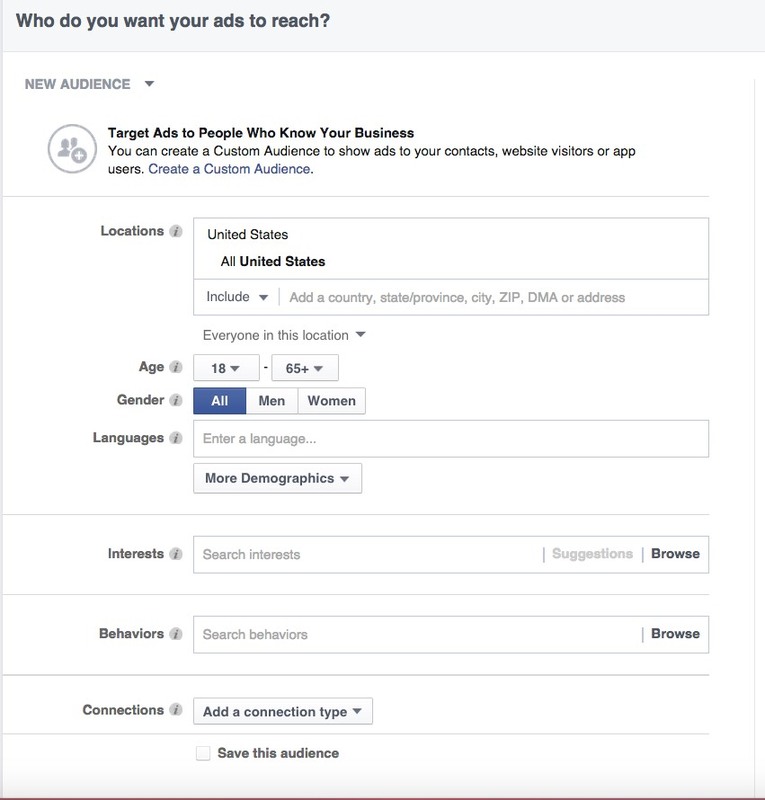 First, visit your page’s Ads Manager area, head to the tab marked “audiences,” and choose the option called “create a custom audience.” On Facebook, you can find the pixel code in the box marked “create web remarketing pixel.” Copy it and paste it wherever you want on your company site code. It’s that simple. How Do You Create Facebook Ads for Segments of Your Custom Website Audience? Now that you have made a custom audience list on Facebook, you want the advertisements that reach your potential customer base to be targeted and specific. Of course, paying professional design companies for your ads can be quite expensive. I’m here to let you know that there’s another way. Facebook has an ad creation tool that you can access via the Facebook for Business section of the site. Immediately, you can select from a number of campaign objectives, including more customer conversions, getting more people to click your Facebook company page, better app engagement, more people at live events, and redirecting more traffic to your company website. Choose an objective and once you include the URL of your website, you can pick your currency and time zone as well as the portions of your audience that you want to see these ads on Facebook. Select from your custom audience or create a new segment of people. Next, decide on your budget as well as the ad style, whether that’s a few images per ad or just one video or image per ad. You can choose the footage and pictures used, so make sure these are high quality. If you opt to include text in your advertisement, you can also pick from a headline, body text, or both. Once you place your order, Facebook will go about creating the ad as you asked for it. What Are the Benefits of These Custom Audience Facebook Ads? As you could imagine, the benefits for custom audience Facebook ads are multiple. First of all, you don’t have to pay for most of these Facebook services, yet despite that, they are comprehensive and encompass various marketing needs. Secondly, you don’t have to have a lot of tech know-how since Facebook outlines everything you need to do in a clear and concise fashion. Overall, I would certainly advocate this practice for businesses that have had ad campaigns fail in the past as well as startups and small businesses aiming at users between 20-50 years old. Advertising is still a powerful way to attract attention, whether that’s online or offline. Facebook custom audience ads let you reach new segments of potential customers that you may otherwise never have, so definitely use this tool to your advantage. Has your business had a significant rise in clientele through creating a custom audience on Facebook? Or perhaps you feel you could use some improvement in the area of advertising via social media? Expanding your brand and improving your online recognition is Social Connect’s bread and butter! Please feel free to contact Batya Maman if your business is ready for an enhanced online presence! My first exposure to Social Media was in September of 2014. I spent 3 days at a seminar hosted by MGE, which was delivered by VIP LLC & Social Connect, Learning how Social Media PR & Marketing can Improve your Business. Well, that was all I needed!!! I immediately signed up for the Social Media Makeover + Management Package with Social Connect at the helm and they have been creating and running my entire social media network ever since. This includes Facebook, Google Plus, Instagram and Twitter with both personal and business accounts. Statistically, the following is now a reality: When I started in December 2014 I had about 11,000 total clicks or views on my Google Plus page. I checked this morning (just five months later) and I now have over 100,000 views! 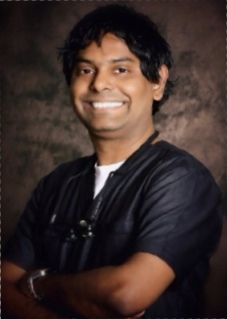 Utilizing this brilliant system of PR & Marketing and Social Media posts, Social Connect has officially put me on the First Page of Google organic search results for “Dentist NYC”!!! [Organic search results are listings on search engine results pages that appear because of their relevance to the search terms, as opposed to them being advertisements. In contrast, non-organic search results may include pay-per-click advertising]. Furthermore, now a THIRD of my new patients come in from Google and online searches. NYC is the most concentrated area for dentists in the states, so achieving results like this is quite hard, especially in such a short time. The owner of Social Connect, Batya Maman, often says she BUILDS PEOPLE ONLINE AND GIVES THEM PRESENCE. She is dedicated and amazing at what she does; Batya is results-oriented! What does this mean to us Dentists? Most of us spend a lot of money on SEO (search engine optimization) and we‘re still not placed on the first page on Google. Now, with this amazing “social media machine” what was once just a dream has in fact now come true. I strongly recommend every dentist comes to this seminar to see for themselves how this can truly help them the way it’s helped me! July 4th Weekend Events! A lot of fun activities are planned for the July 4th Weekend this year! 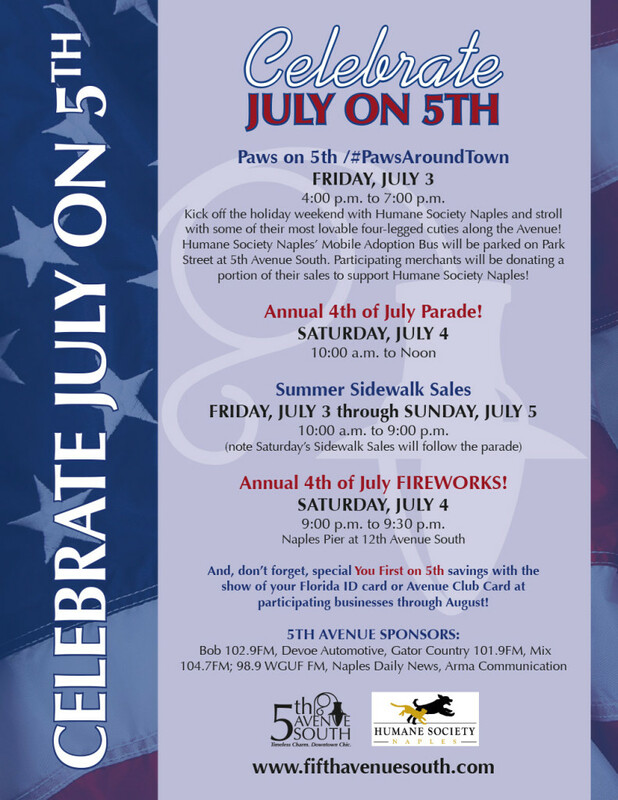 The weekend kicks off on Friday with Sidewalk Sales and also with the first annual Paws on 5th/#PawsAroundTown event! Annual 4th of July FIREWORKS! SATURDAY, JULY 4 9:00 p.m. to 9:30 p.m. The fireworks kick off at 9PM at the Naples Pier at 12th Avenue South. Great location for viewing is along the Avenue and at the Gulf end on the Beach! 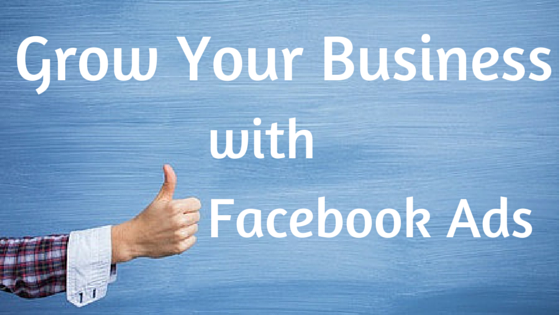 If you are a business owner or manager, you better have a Facebook page up and running for your business. And if you spend any time at all promoting your business on the social media juggernaut, you’ve probably noticed the options available on Facebook to run ads to promote your business. But do Facebook ads really work, and what’s needed to run them effectively? Facebook advertising can not only jolt your business brand exposure but can increase y our bottom line. The key is to have a basic understanding of what types of ads will be best for your target audience and how to use them. There are four main ways that people advertise on Facebook. Marketplace advertisements are the ones that appear in the right-hand bar on Facebook and are the most common ads for small business owners. Sponsored stories show up in the timelines of people whose friends engage with the associated page. Page post ads show up in users’ newsfeeds like regular updates. And boosted posts are like regular page posts, but are guaranteed to reach a wider percentage of your audience depending on how much you spend. Look into each, and decide which to experiment with first. How much do you want to spend? How much can you spend? Before you run ads, get realistic about your budget, and how important social media ads are to your business. Without setting a budget you can easily throw away good money with no return in your investment. To get started with your ad, visit Facebook’s “create an ad” landing page (https://www.facebook.com/advertising). From here, you can decide what kind of results you want to see from a Marketplace advertisement. Then, make sure you have a great eye-catching photo selected, and get to work designing your ad. Follow the tutorial step by step, and your ad will be ready to run in no time. Compared to marketing on t.v. or other big reach mediums, Facebook ads can be very inexpensive and a great “bang for your buck.” To maximize your budget you should always be analyzing your ads and dollars spent vs. what type of ad for optimal conversion and balance of your budget. When designing your marketplace and, you will get to decide who sees it, which is incredibly powerful. You can target your current fans, your email list and even your competitors. Compared to other web advertising, only your potential customers will see Facebook ads. 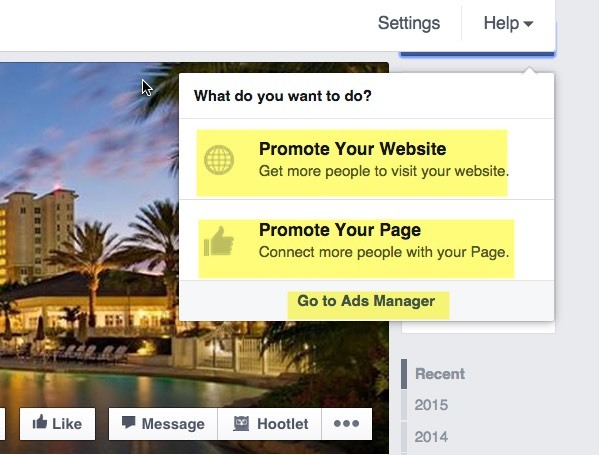 Facebook ads can be a whole new world to your online marketing toolkit. I encourage you to take the time and learn how to use Facebook Ads Manager and Power Editor. Boosted posts are great for short term advertising but to maintain your budget and reach a much larger targeted area you will want to continue learning about effective strategies for advertising. Keep an eye out for coming posts to learn more about how to effectively advertise your business on Facebook with a breakdown of what key tools will be effective for your advertising budget. Are you running Facebook ads? What success have you had? What struggles have you had in reaching your audience? Please share with us in the comment box below! Have a question? Please reach out and let me help you navigate your business with Facebook advertising. Social Media Marketing & Personal Assistant Job opportunities!! 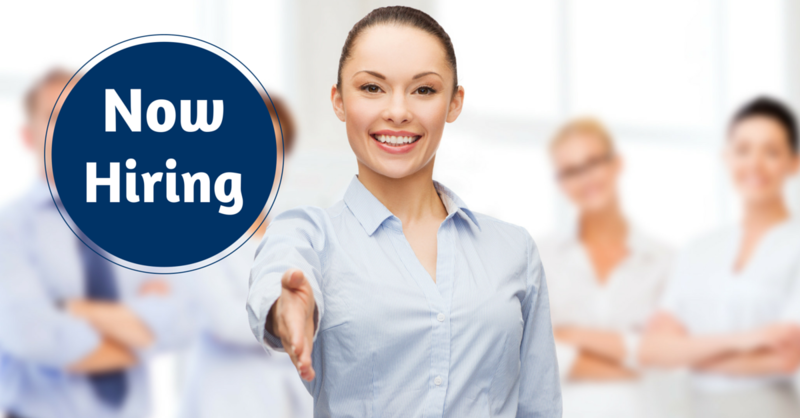 We are looking for personal assistant with social media and marketing skills. Minimum of 3-5 years experience in social media required! LinkedIn is the leading social media site designed specifically for business purposes. This makes it a valuable resource for connecting with business owners, recruiters or investors. Your LinkedIn profile is one of the biggest factors when it comes to making an impression on fellow members. When people click on your profile, you want to make sure that you communicate the right message. LinkedIn is not only a social network that’s growing fast, it’s one of the few social sites that’s made for business. Most social sites are designed mainly for entertainment or socializing, whereas on LinkedIn you can openly discuss business without having to pretend you are there for any other reason. The demographics of LinkedIn are unique among social networks. Compared to many other social sites, such as Twitter, users are older, more likely to have college degrees and have higher incomes. LinkedIn is useful if you are seeking a job or if you have a business that sells products or services to other businesses. 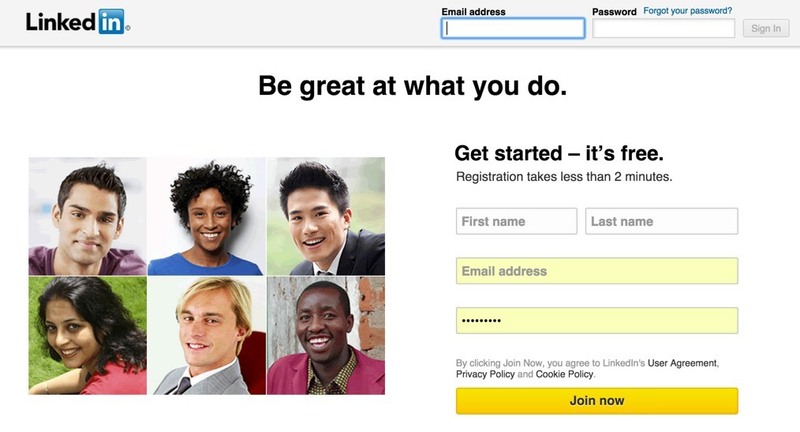 There are many ways to leverage the site, from job listings to groups to paid advertising. Yet the foundation of your presence is your LinkedIn profile. The following are some of the most important points to keep in mind when completing your LinkedIn Profile. Compelling Headline -When writing your headline be sure to use keywords that are relevant so that your profile will attract the kind of people you are targeting. Include any relevant information, including your industry, the primary services you provide and your location. Job Title and Work History -Carefully consider what you want to emphasize. If you own your own business, you have some flexibility when it comes to describing your title and industry. As when writing a resume, you have some leeway in how you present your work experience. Always be honest, but think about what you want to emphasize. Photographs -Photos are very important when it comes to the impression your profile makes. Use a recent, high-quality photo of yourself. Don’t use an avatar or company logo. You want to personalize your profile as much as possible. List as Many Skills as Possible -Don’t overlook anything when listing your skills and expertise. Relevant skills may include computer languages, software applications, job experience, foreign languages you speak, communication skills, marketing, copywriting and anything else that you can do or have done in the past. Encourage contacts, associates and clients to endorse your skills. It’s a good idea to review your LinkedIn profile on a regular basis. You should update it as you acquire new skills and experience or when the nature of your business changes. Remember that your profile is the first place most people will look to find out all about you or your business. Are you on LinkedIn? Connect with me! I would love to learn more about your business and what you are doing!